Elasticsearch is a distributed, RESTful search and analytics engine based on Apache Lucene, capable of storing data, and search it in near real time. 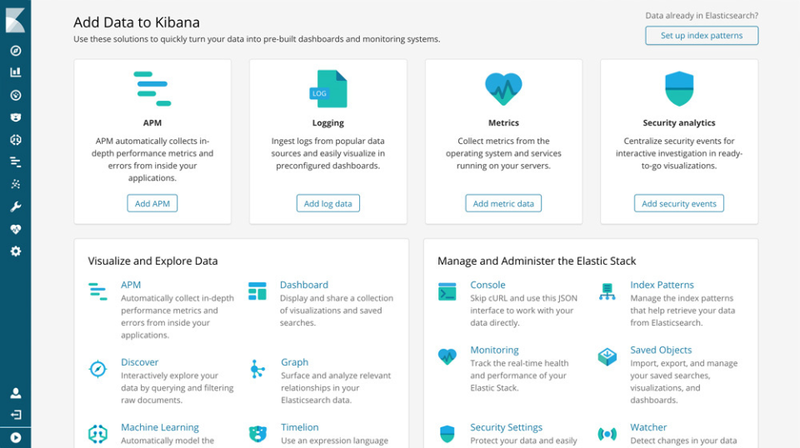 Elasticsearch, Logstash, Kibana and Beats make up the "Elastic Stack" developed by Elastic. 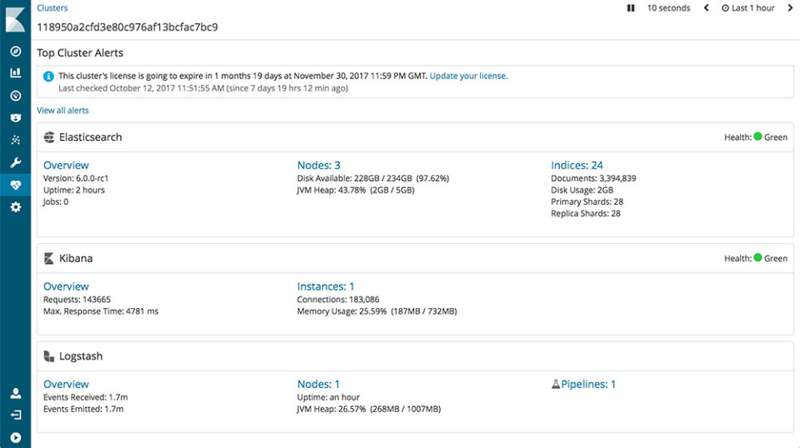 Hosted Elasticsearch (Elastic Cloud) is also provided. Pros: I've been using Elasticsearch since early days, with very different things in mind. I started with simple text search - with some additional tweaks, stemming and other cool features it helped us drive enormous traffic to our website. I can't imaging pulling it off so easily with any other tool. Every day I use it for web server log analytics. Search and great visualizations make it an absolute essential in work my toolset. 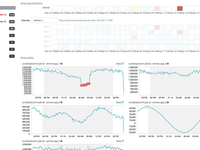 We also run a lot of algorithm analytics on top of our Elasticsearch cluster. If you're looking for managed options check AWS Elasticsearch Service, or the recently introduced Elastic Cloud. Cons: My only concern with Elasticsearch is that it might get expensive to run pretty quickly. But with a certain amount of effort put into optimization it's gonna be worth it. Pros: Elasticsearch offers a very flexible system for adding search capability to your systems. It is also capable of much more. 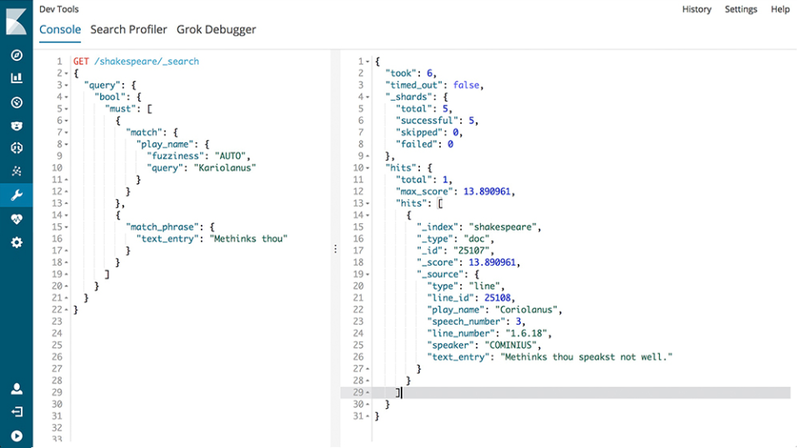 The REST API and great documentation makes getting started very simple. Elasticsearch was also designed with scaling in mind. Adding nodes and self balancing is quite easy. AWS offers hosted Elasticsearch that makes spinning up your first cluster as simple as a few clicks. Cons: Writing complicated queries can be quite tedious at times. The JSON interface is not always easy to read when trying to match up parentheses. Upgrading from older versions is not a simple process. Overall: We use Elasticsearch to filter and sort search results in our marketplace. We've built out many complicated queries that allow us to do interesting things like geo-based queries, personalization, and time boxed deals. Overall: We're ElasticSearch mainly to index large amount of logs from several servers. Its makes it very easy for us to index and search logs. 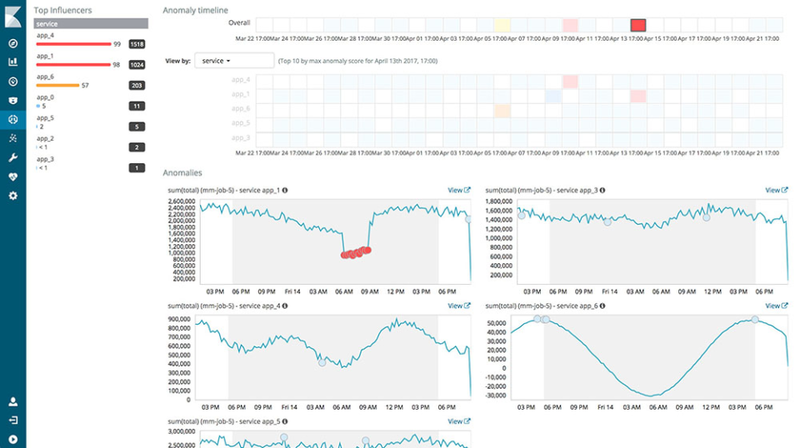 Logstash sends the logs and with Kibana we access to logs and create nice dashboards. But, you have to manage your indexes. For our log an index is created every day which we reindex monthly to a new index, then we do a forcemerge and after that we delete the daily indexes. This keeps the number of shards low. If we don't do this we run into problems because if to many shards. But, you can schedule this via curl and with every new version of Kibana/ElasticSearch you can do more and more via the GUI. For us this is the number one tool to index and search gigabytes of logs on a daily base and we're able to keep months of logs and still be able to search through it. Pros: Searching is where elasticsearch is second to none, either in terms, n-grams or full-text. 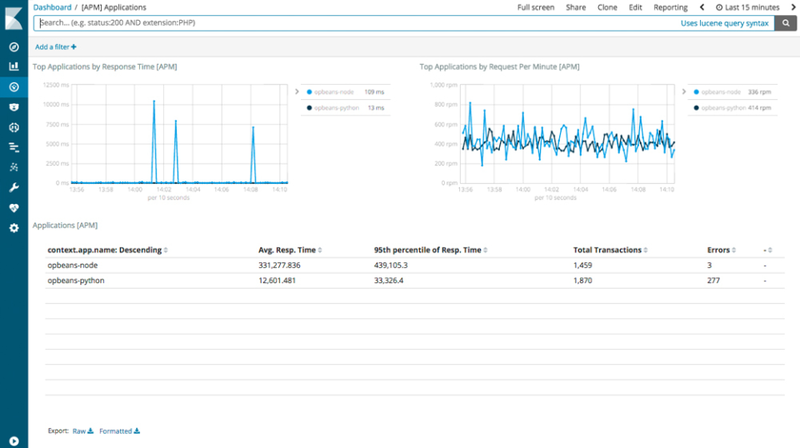 Latest releases have greatly improved the aggregation performance, so it's also a great fit for analytics workloads. The customizable sharding and replica configurations make is very reliable too. Cons: Searching and joining different documents has room for improvement, it's usualy not as fast as we would like it to be, so most of the times we end up un-normalizing documents and en-richening their data to boost searching performance. Overall: We've been pairing Elasticsearch with a traditional RDB in many projects with great results. This way we don't compromise our data reliability and searching speed is blazing fast. Pros: Elasticsearch is the single most valuable tool I have come across in my career for solving big data problems. No other datastore scales as well and as easily as ES. The premium features that come with a license are extremely powerful and definitely make a case for upgrading beyond just the need for support like most database solutions. Cons: Elasticsearch definitely has a significant learning curve for developers and administrators experienced with a more relational database solution. However with some time and with the aid of the fantastic UI Kibana these hurdles are small in comparison to the power you can reap. Overall: We've dramatically improved the stability of our big data analytics compared to any other data store we've used. 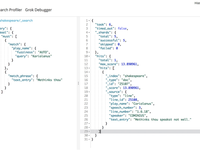 Elastic Search is schema free'instead, it accepts JSON documents, as well as tries to detect the data structure, index the data, and make it searchable. Cons: Elastic-search query DSL is less common and less flexible than Postgres SQL . Everything is indexed by default, which creates an index overhead. in order to understand how to properly query your data and how it is stored, you have less control over consistency. Searching made easy when you need it the most. Pros: A consolidated UI to search and find the patterns in log file. Speed of search return is also very good. The way this product manages the files at the backend, it does conserve a lot of space considering the amound of data it stores. Cons: Search pattern bar could be more user friendly. When the load increases, serach bar is the first to show impact and starts to deviate from an efficient behaviour. Cursor keeps going away during such times making it difficult to tweak the attern. 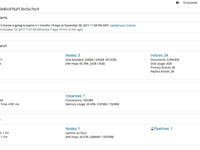 Overall: Elasticsearch provides central storage for our application and audit logs. Pros: The search is very good and very fast in response. Documentation is very good for writing NoSQL queries. Libraries are there for 90% of popular languages. Cons: It would be good to create a standardization for NoSQL. It would be great, Elastic search provides IDE to write the queries rather than editors. Overall: Great full text capabilities. Pros: The product is very popular among many companies, therefore there is a big community who can share their knowledge, the search is very fast and the installation process and integration are very easy. Cons: I leas like the Elasticsearch itself does not provide much except just storing the information, the additional tools (Kibana and Logstash) are required. One of the best text-based search products in the marketing. Pros: * Easy to use, especially when compared with alternatives s.a. Solr. * Elastic has a great customer support. * It is very powerful, supporting heavy loads. Cons: * Demands a specific knowledge of the theory of search. * While way higher level than most services, it is not as high level as, let us say, a Google search. * Often used as a NoSQL in inappropriate settings. Overall: We get to solve our search scalability problems on our on-premise product with the ease and consistency of Elasticsearch. Pros: Its a really good solution for people looking to process large volumes of data, it allows to filter, make aggregations and other operations really fast even when you need to rely on text search. Cons: Its really easy to make your performance really low, you have to be really careful with your cluster setup, mapping and queries. Pros: ElasticSearch is one of the most popular and fastest growing NoSql data store. one of the best feature we are using is to search and return data quickly. Schema less is making its most powerful features and base of this entire product. Cons: Only cons we are facing right now is its major version Upgrades and breaking change. Overall: We are building a new and next generation product and we are using elastic in all search or autocomplete area of the application. Its really fast and powerful tool. Pros: As a web developer, I have been looking for opportunities to make our apps better, smarter and more developed. Elasticsearch made a revolution in our business by providing complex filtration systems and search, which weren't easy to implement previously: too much code and server consumption. Our products got better, we make good money and save our time. Cons: I still haven't figure the implementation of replication and clusterization of Elasticsearch, but maybe it is a lack of information. Overall: By using RoR as a platform we use wrappers developed by Elasticsearch. This is a great, well-documented solution for a quick start, a great help to the developers. Pros: Elasticsearch stores and search through data in a distributed manner. Available to integrate with most of the programming languages to integrate with own application. Also provides rest api to directly integrate through command line or browser. Easier to add and remove cluster nodes for larger distributed datastore. Cons: It requires large heap memory for better performance since is based on JVM. The datastore handles text only. Elasticsearch is wonderful free software. It is fast, scalable and easy to use. Some features are only available in the paid product. Pros: How it is designed to make search fast with the replicated indexes. It is also well designed to handle complex structured data and queries. Cons: There is not as much admin interface to help manage the indexes. At times the cluster turns yellow due to shards being re-allocated. Cons: You have to use 3rd party tools in order to make the best of it (management mainly). It's JAVA, so GC could be an issue. Overall: We refactored our search engine and used ElasticSearch as a back-end. Best out there, hard to master. Cons: There is quite a bit of a learning curve. Syntax could really mess the intentions up. There is a difference between 'filter' and 'filters', 'term' and 'terms' filters and that's the beginning. Even basic tasks like searching if a field exists are not as straightforward as key and value. Queries could be very long and not very declarative. Overall: I'd definitely recommend to anyone. Just take your time to study it carefully as its powerful tools requires mastering. Super powerful search engine for your Business. Pros: ElasticSearch provides some of the mos accurate & fast search results of the market. We moved from a Sphinx installation into ES and have never looked back. Multiple indexes, lots of querying options & great support from tooling. Cons: Can be a bit hard to get into at first. However, the product is very well documented, so you just need to invest some time in their docs. Overall: A bit hard at first, specially tweaking the queries & indexes to get just what we needed from it. But after that, it has been a very reliable tool that we use everyday. Pros: it's a really powerful tool that can find exactly everything you need on your data. Overall: Free (open source) software with so much feature and best search functionality. Pros: If you worked in a big online store on the analytics side you can really understand the hard work that this software is doing, and the value that it adds to your conversion rate. It has great potential and used in combination with Kibana it proves a very good choice for fast and great search results. Cons: Depending on your users conversion rate and volume it can become a high cost operation, if you have low margins. The best free data aggregation tool out there! 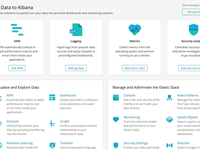 Pros: Elasticsearch (as part of the ELK stack, which includes Logstash and Kibana) is the best free alternative to other data aggregation tools like Splunk. It's incredibly fast and sits behind a REST API that's easy to use, and easy to understand. Cons: Elasticsearch by itself is not an "end user product". You need to use Kibana, Grafana, or something similar to more easily view the data contained in Elasticsearch. Pros: ElasticSearch, as of Solr, is the right tool if you want to create a powerful search engine inside an application or a website. Indexing documents can be done through a REST API, as for querying data. Most of the modern frameworks and content management systems can ship with modules that interact with ElasticSearch to index and retrieve documents. For most complex systems, you can implement synonyms, auto-completion, auto-correction (using fuzzy search), and also configure how results should be sorted using a full text search. Searching with complicated parameters is really fast using ElasticSearch, and you can also retrieve facets to display to restrict results when needed. Cons: Learning ElasticSearch seems to be a bit more difficult than learning it's competitor, Solr. In my experience, Solr has a better support for Drupal CMS which we use a lot in my company. But our last project using ElasticSearch was a success, thanks to all it's powerful features. Overall: Developing a powerful and a fast search engine, dealing with content coming from various data sources, inside our website. This is a game changer! This makes querying super fast and effective. Love it. Pros: The ease of use and the functionality makes us look great when we can present data so quickly to our users. Cons: Nothing really, maybe the ability to do more fuzzy matching of data if possible. Otherwise, this software is amazing. -If you use for pentesting, is a great tool to search information. Great to implement smart search functionality. Pros: It was easy to setup installing it with AWS or as a server. also has a lot of implementations options with Rails and other platforms. Cons: It requires a lot of hardware >1GB of memory since is based on Java. Overall: Is great, easy implementation and configuration, just the requirements are a bit high. Cons: NoSQL help is not much clear with samples. Cons: Installation & Configuration is something I have struggled a bit especially while upgrading to a higher version. Therefore this is one area where there is some scope of improvement. indexing helps in increasing scalability. few extensions helps in further personlization. Cons: Understanding the tool for a beginner would be a challenging task. Too many features with only a few to be used for a concentrated user. Query Structure is very complicated. Cons: Reindexing is very time taking due to which there is data mismatch sometimes. Cons: The elastic syntax is not so easy to learn. but with new release the sql format should make it easier. Some times when you performs particular expensive operation elastic fail with strange error, however with a custom configuration is it possibile solve them. Pros: Excellent to use smart text, to management number of impression on search, distribution of data, autosuggest, soundex search. So more efficiently and quickly than search on a data base. Cons: It has not a table of error, errors are so much generic. Documentation is very ambiguous and so short. I used the Python library to interact with ELK. Pros: Its flexibility ad X-pack options. It is also very easy to buikld an index and its Kibana interface is amazing. Cons: The documentation and support has been a little muddled but I think that is getting a lot better. This may also be assisted by their hosted option. Pros: The most appealing aspect of Elasticsearch is the price. It can perform well with a lot of tuning and can be tailored to your needs. Cons: Ultimately, Elasticsearch needs a lot of tuning to perform well and a lot of care and feeding to be reliable. The money saved on running Elasticsearch is easily spent two and three fold on specialized labor to keep it running. Overall: I used this software to easily and quickly search SIEM logs. Pros: This software was used to create analytical reports and dashboards for our systems. Cons: Not easy to deploy and configure. Moving a lot of data is very memory consuming. Pros: It's an inexpensive solution that's easy to configure for searching of complex content like major support portals. Cons: There is quite a lot of initial setup, as you'd probably expect, although the results we got made it worth the effort. Overall: It's better than a big name solution we previously used for support content search. And a LOT less expensive. Pros: Reliable, Fast, Scalable, Frequently updated with new amazing features, open source with license options for additional services. Cons: Written in java, so it requires a lot of resources by default. Overall: Blazing fast search. I used it in a big website where I needed to speed up search, and it worked like a charm. Pros: Majorly extensible and scalable, clustered setups allow for fault-tolerance and data redundancy. Robustness of the servers is admirable. Cons: Difficult to initially set up, with little or no documentation on issues you might encounter. Networking configuration needs to be airtight. Pros: Low latency, clear API, searching is very easy and documents can be stored without any schema. Cons: No security out of the box, I need to secure it using X pack or by running it behind a reverse proxy. 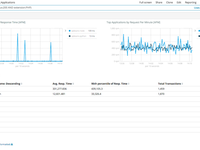 Overall: Get insights from different log files and show them in one single interface. Like name suggests it is elastic, distributed, RESTful search and analytics engine. Pros: 1) It is NoSQL distributed database i.e non relational database working on triplets. 2) Free open source software. Cons: 1) Can suffer from 5 V problems that are Velocity, Veracity, Value, Volume and Variety. Pros: Plenty of features, large community and easy implementation. Overall: Is a perfect tool for beginners with features like ful text search, document scoring, result highlighting and many other. Pros: I'm new to elasticsearch but I've used it to build an admin panel that reads my server logs (nginx, postfix ... ) and show detailed informations with logstash and kibana. It's very easy and quick to setup. I see a lot more use cases now that I've made the first step into ES, like converting a big mysql database into ES. Cons: I don't like how the documentation is made, sometimes I get lost. Other than that I'm very satisfied with ElastickSearch and how it performs. There is a huge difference between it and a normal database. Comments: Using Qbox.io for hosted Elasticsearch allows developers to sidestep a number of the most common challenges associated with implementing internal search engines. In particular, Qbox.io users avoid having to monitor nodes themselves and wrestle with JVM heap size capacity planning. Because Qbox.io is provided as a service, developers who use the product do not have to worry about complicated topics like setup on AWS and RackSpace. Pros: The control you have over your data/indexes, as well how easy it is to integrate with other software. Cons: The interfaces and documentations could use updates. Pros: I really like the flexibility of elasticsearch and its applicability to different contexts. For now we have analyzed it as an indexer aimed at a search function, but we know its potential even for log analysis. Cons: It is a rather young product and some things can be improved, starting with the "confusion" on the role of the different components of the elastic stack. It would also be useful to have a native management GUI. Finally, in the elatic stack there is no module that crawls completely integrated. Comments: Early Elasticsearch user and enthusiast, it's been my go-to software for all my search and basic analytics requirements. I've used it both for infrastructure / logging needs (with Logstash and Kibana) and applications (search, metrics). Early days were not easy given sparse documentation, but right now it's a great product with lots of material to get you started.